PopMatters is proud to premiere the 25th album by Cajun music legends, BeauSoleil avec Michael Doucet. 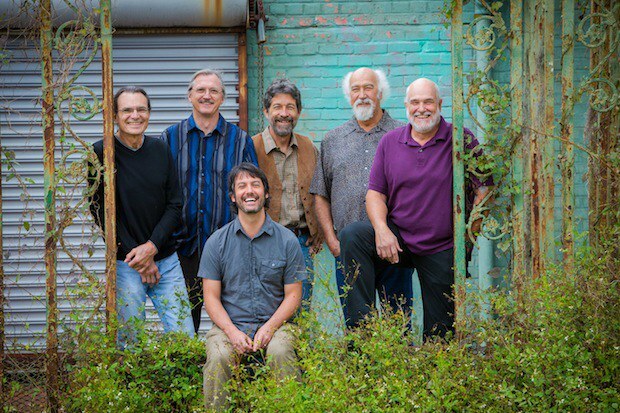 Few bands are as synonymous with the genres they work in as Cajun music legends BeauSoleil avec Michael Doucet. 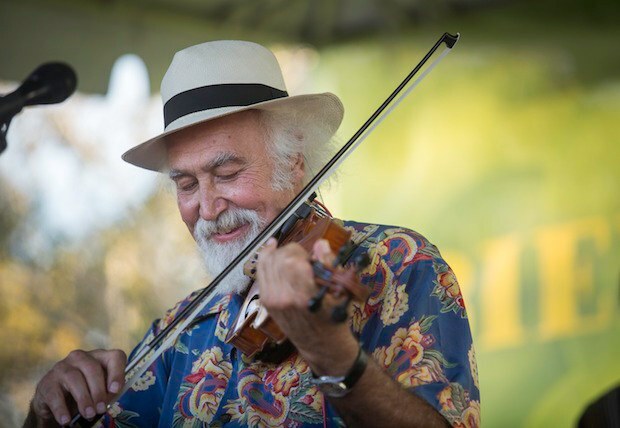 With 25 albums to their name in their 37 years in existence, BeauSoleil have basically become ambassadors for Cajun music, taking their sound to stages and festivals worldwide. PopMatters is thrilled to premiere From Bamako to Carencro, the latest album by a band PopMatters publisher Sarah Zupko calls "an American national treasure". PopMatters reached out to Michael Doucet to find out more about the new effort, asking how the record connects Bamako, Mali to Carencro, Louisiana and how a group that has achieved so much seeks out new challenges. From Bamako to Carencro comes out 2/26/2013 on Compass Records. PopMatters: After making 25 albums over 37 years together, how do you approach making new music? Michael Doucet: The same way I approach every day when I wake up: I'm happy to be alive, respectful of where I've been, what I've seen and learned, how lucky I am to be absorbed and supported by the creative process that I love. I'm thankful of all those great master artists that came before me who shared their time, stories, and music with me, thankful of all the people who have been moved by our music. And trying to figure out what has not yet been said and how to say it. PopMatters: How was the process of creating From Bamako to Carencro similar to past efforts and how was it different? Michael Doucet: It was similar in that the material had to move you, was well researched yet fresh, was understood by all members, was fun to play, and was true to our traditional masters. We also had great help and encouragement from my manager, Michael Pillot, as well as Wish and Steve Nails, who run Dockside Studio on the Bayou where we recorded all of the tracks in four days. The album was different in the fact that we were on Compass Records, in Nashville, a new label for us under the supervision an old friend in Garry West and Allison Brown. Since our last studio recording, we have also had three years to road test some of the new tunes and enjoy the feedback. PopMatters: BeauSoleil is so closely associated with the genre you work in, more so than most bands are. How do you balance your role as an ambassador for Cajun music, with stretching the limits of its traditions? Michael Doucet: I may be the Cajun ambassador of understanding the past, present and future of our cultures music because I see no boundaries concerning time and space. PopMatters: The title of the your new album is certainly intriguing, connecting Bamako, Mali in west Africa to your Louisiana home both historically and culturally. What's the symbolism behind the title From Bamako to Carencro? Michael Doucet: Symbolism? You'll have to figure that one out on your own...the obvious may simply be the music from an ethnic French-influenced country to that of a French-influenced town in Southwest Louisiana. PopMatters: Along those lines, does the title suggest any resonance between your own sound and world music? PopMatters: One of the memorable moments from the new album is a Cajun rendering of James Brown's "I'll Go Crazy", which basically translates the original into a different music vernacular. What was the impetus behind revisiting his performance in such an unexpected way? Michael Doucet: I've been a fan of "The Godfather of Soul" as a young teenager ever since my sister took me to his performance in Lafayette. I've long thought his song would be a great-translated Créolized tune. No one can sing like the amazing Mr Brown, but we can all certainly learn something about his music and cosmic influence. PopMatters: BeauSoleil is a popular live act that finds its way onto all sorts of stages worldwide. How do you go about playing to audiences that might not be as familiar to you and Cajun music, and reaching out to them? Michael Doucet: I've got a story to tell. We play North American music that originates only from one area, French Southwest Louisiana. But our music and its themes are universal in the realm of the human condition, which means it touches everyone in a heartfelt way that can't be denied. There's no better way to assuage pain than to hear a story song about overcoming and living with pain, nor is there a [more] hearty way to laugh than to laugh together within a crowd of people. We are a dance band with a story, an old story about tears, love and laughter. All we are doing is being ourselves. PopMatters: Jimmy Breaux, your long-time accordionist, has sadly left the group. That alters the sound in your live performance. Are you planning on moving in a new direction away from that sound or is another accordionist soon on the way? Michael Doucet: I don't really think it changes our sound much at all, but I do feel that now there is more clarity, space, and harmony within the group. BeauSoleil is always moving along the never before sounds of traditional Louisiana French music. Yes, the great accordionists Errol, Verret, Robert Jardel, Jesse Lege, Cory Ledey, JoEl Sonnier, etc., have all been part of BeauSoleil at one time or another. This gives us much more range and fun, like playing in a summer drizzle instead of getting stuck in the mud. We're also more freely exploring the Créole attributes of our music, something we've always done but now can be much more precise in our interpretation.